May 18, 1980. If you were alive, you remember what happened that day. Mt. St. Helens blew its top, reducing its summit elevation from 9,677 feet to 8,363. It was the deadliest volcanic eruption in U.S. history. Fifty-seven people, 7000 big game animals, and 12 million hatchery fish were killed. Nearby roads, bridges, and railways were destroyed. President Jimmy Carter described the post-eruption damage as more desolate than a moonscape. Ash from the volcano was found as far away as Minnesota and Oklahoma. In 1982, president Ronald Reagan and US Congress declared 11,000 acres around the area the Mt. St. Helens National Volcanic Monument and let the area return to its natural state. Climbers were allowed in 1987 and since then over 200 miles of trails in the area offer a unique view of a volcanic landscape an ecosystem evolution not seen anywhere else in North America. 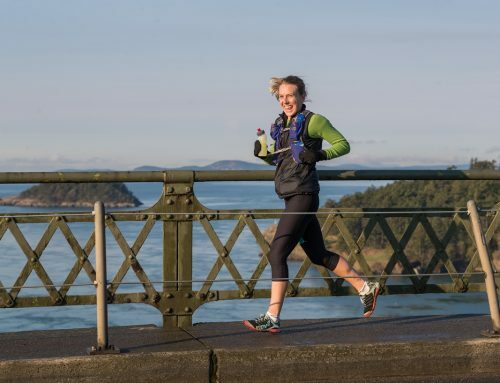 Check with the park service regarding any closures before heading out on a run. A Northwest Forest Pass is required at most trailheads. The Mt. St. Helens Backcountry features several challenging trails that offer breathtaking views of the mountain, its blast zone and the surrounding lakes. The trails offer a variety of terrain and are often surrounded by dazzling wildflowers. The backcountry area can be accessed from the Loowit Trail using the Truman Trail. Take a look at our feature of the 20-mile Backcountry Rise route. Harry’s Ridge – Access from Johnston Ridge Observatory for an 8.2 mile out and back. Mount Margret- 11.4-mile roundtrip from Independence Pass trailhead. This trail was recently opened again but still has a washout one mile from Norway Pass that can be easily crossed. A great 17.3-mile lollipop loop in the Goat Mountain area starts at Goat Creek Trail #205 trailhead from Forest Service Road 2750. 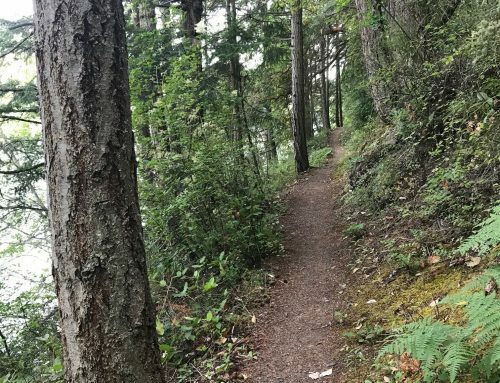 Follow Goat Creek Trail for 2.2 miles of beautiful of waterfalls (including the 250-foot Cathedral Falls) and old growth Douglas Fir and Western Red Cedar to the Tumwater Trail junction. Turn right at the junction and stay on Goat Creek Trail for a 3.9 steep ascent to the Goat Mountain and Vanson Peak Trailhead junctions. For extra adventure, turn right up Vanson Peak Trail to make the 1/2 mile scramble climb up to Vanson Peak for stunning views of the Cascade Peaks. Otherwise, turn left at Goat Mountain Trail for 2.3 miles to the Tumwater Trail and a view of Deadman’s Lake. Turn left on Tumwater Trail for some rowdy trails up to Tumwater Peak. 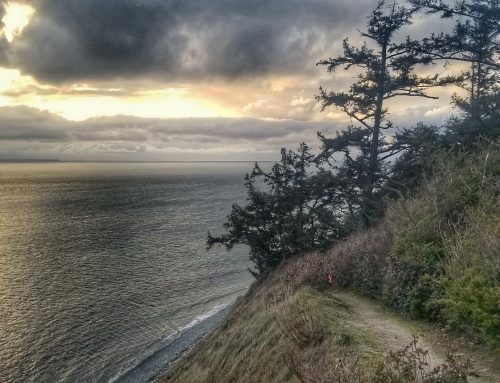 Take in the views from Tumwater Peak and prepare the quads for a steep ascent back to the Goat Creek Trail. Turn right at the Goat Creek Trail back to the starting trailhead. Volcanic 50– The course is simple, but the race is hard. It starts at Marble Mountain Sno Park and then runs clockwise around the 28-mile trail and back down to Marble Mountain. It’s closer to 33 miles than 50k. 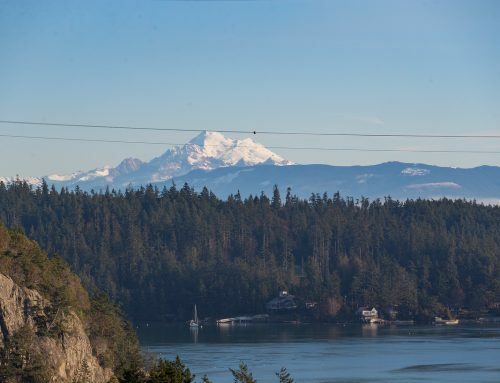 The views of St. Helens and the surrounding Cascade peaks are striking. Some of the terrains are treacherous and the heat can be demanding. One of the best features of the Volcanic 50 is that all the aid stations are on the Loowit trail as volunteers hike water, soda, food, and supplies via the feeder trails. 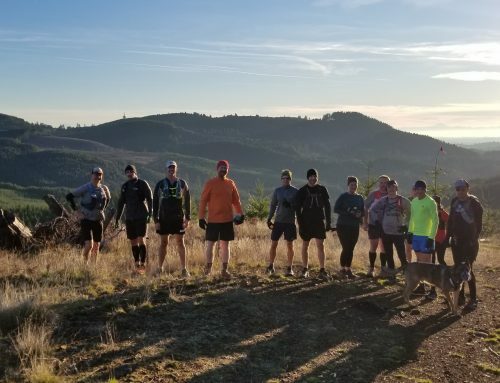 Backcountry Rise 50k and 20 mile– Daybreak Racing started this race in 2017 and received rave reviews from the day after. This year, the race sold out quickly. It’s popular because running through the blast zone it’s both arduous and alluring. The views of Mt. Margret and St. Helens backcountry flowers, lakes, mountains, elk, mountain goats help numb the pain of strenuous climbs and erratic trails. Bigfoot Endurance Runs 200 mile, 100k, 40 mile and 20 mile- All distances from these races by Destination Trail start at Marble Mountain Trail Head near Cougar. The 200-mile is a challenging point to point races that combine the western half of the Loowit Trail and the Mt. St. Helens Backcountry area along with trails toward Mt. Adams and North to Randle. The 100k and 40-mile race both use most of Loowit Trail to circumnavigate the mountain. The 100k also ventures into the Backcountry. The 20-mile race starts by running the Kalama Ski Trail from Marble Mountain, then follows the other course on the Toutle Trail up to Loowit and heads back to Marble Moutain. Timberland Coffee– Stop by in Castle Rock on the way to the Northern side of Mt. St. Helens for an espresso and other featured drinks. Rooster Brew Espresso– Woodland is the last city to get coffee at on the way to the Southern area of Mt. St. Helens, and Rooster Brew is your best bet. It also helps that Don’s Donut Depot is next door. Ashtown Brewing– Longview is known for its paper and lumber mills, but these workers also enjoy an occasional IPA. Ashtown is located in the heart of downtown. The Toutle-Loo Pale is both a crafty name and beer. Sasquatch BBQ serves food right off the Traeger grill. C&L Burgers- A fixture of Castle Rock since 1969, this place serves fat juicy burgers of Angus, Elk, and Buffalo. The milkshakes are also handmade. Cougar Bar and Grill– A small restaurant and bar in Cougar that’s perfect for replacing calories after a long day on the trails. The Volcanic Burger (with jalapenos) and Bigfoot Chili, Cheese n Fries Burger are sample items on the menu.